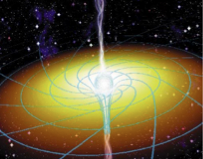 Astronomers studying two classes of black-hole-powered galaxies monitored by NASA’s Fermi Gamma-ray Space Telescope have found evidence that they represent different sides of the same cosmic coin. By unraveling how these objects, called blazars, are distributed throughout the universe, the scientists suggest that apparently distinctive properties defining each class more likely reflect a change in the way the galaxies extract energy from their central black holes. Read more at NASA’s website. On the next clear night, go outside and look up. If you’re away from city lights, you may be amazed by the darkness of the sky between the stars. But what looks like inky black isn’t really so. Even the darkest of night skies still contains the light of all the stars that ever shone. Photons, or particles of light, are born in the nuclear furnaces of stars and then jet outward through the empty depths of space. “If we can measure all this radiation, we can get fundamental infor- mation about the universe,” says Alberto Domínguez, an astrophysicist at the University of Clemson. 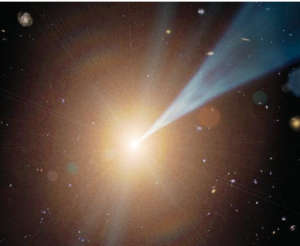 After decades of hunting this light, astronomers are finally close to snaring their quarry. To extend their reach in the universe, astronomers turned to the Fermi Gamma-ray Space Telescope. NASA launched the spacecraft in 2008 to study blazars and other violent objects. Because Fermi orbits Earth, it sits well above the atmospheric interference that foils gamma-ray measurements. Last November in Science, an inter-national team of astronomers, lead by Dr. Ajello, reported Fermi observations of 150 blazars dating back to about 4 billion years after the Big Bang. The team mea-sured the drop-off in gamma rays — presumably due to the EBL absorbing that radiation — at different distance ranges from Earth. By calculating the intensity of the EBL at various distances from Earth, the researchers came up with snapshots of how many stars were giving off light during each era. 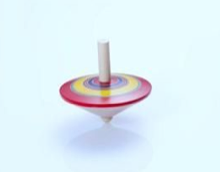 “It’s like having many experiments back in time,” says team member Marco Ajello. 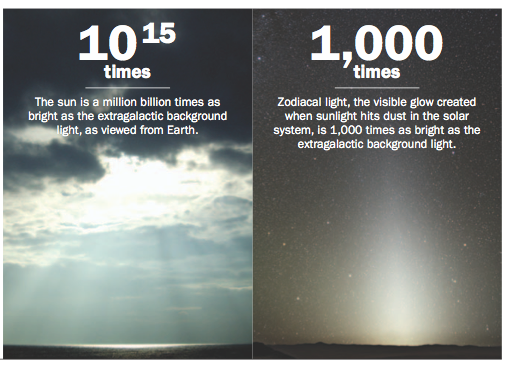 Seen in X-rays, the entire sky is aglow. 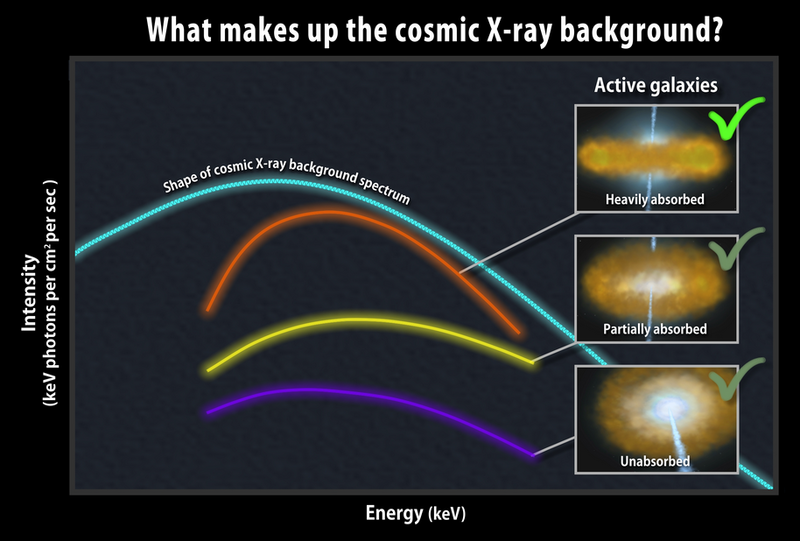 Even far away from bright sources, X-rays originating from beyond our galaxy provide a steady glow in every direction. Astronomers have long suspected that the chief contributors to this cosmic X-ray background were dust-swaddled black holes at the centers of active galaxies. The trouble was, too few of them were detected to do the job. An international team of scientists, led by Drs. Burlon and Ajello, using data from NASA’s Swift satellite confirms the existence of a largely unseen population of black-hole-powered galaxies. Their X-ray emissions are so heavily absorbed that little more than a dozen are known. Yet astronomers say that despite the deeply dimmed X-rays, the sources may represent the tip of the iceberg, accounting for at least one-fifth of all active galaxies. Read the NASA press release. 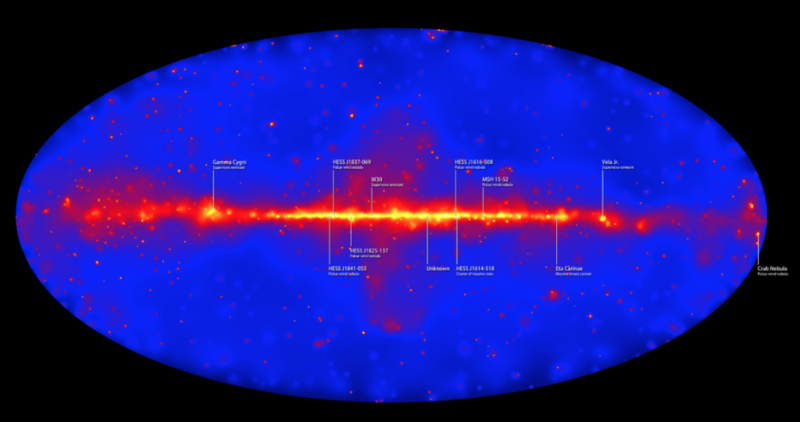 Major improvements to methods used to process observations from NASA’s Fermi Gamma-ray Space Telescope have yielded an expanded, higher-quality set of data that allows astronomers to produce the most detailed census of the sky yet made at extreme energies. A new sky map reveals hundreds of these sources, including 12 that produce gamma rays with energies exceeding a trillion times the energy of visible light. The survey also discovered four dozen new sources that remain undetected at any other wavelength. 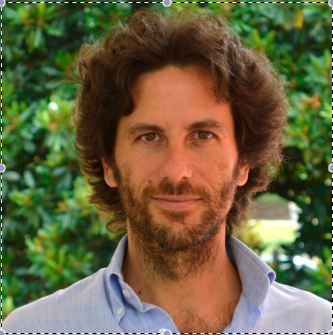 Using 61,000 Pass 8 gamma rays collected over 80 months, Marco Ajello and his colleagues constructed a map of the entire sky at energies ranging from 50 billion (GeV) to 2 trillion electron volts (TeV). For comparison, the energy of visible light ranges from about 2 to 3 electron volts. For some time, telescopes tuned to the high end of the radiation spectrum—gamma rays—have detected a faint glow coming from outside our Galaxy. 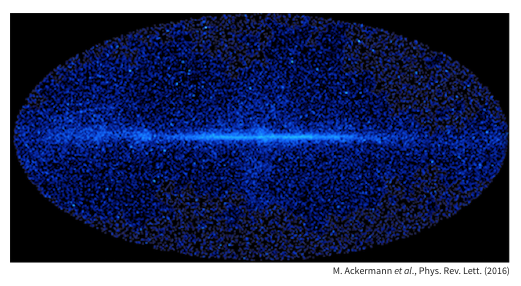 This so-called extragalactic gamma-ray background comes from sources that are too dim or diffuse to resolve with a telescope, and scientists have speculated that some of it might come from unconventional objects like dark matter. Exactly how much can be attributed to unknown sources is now clearer, thanks to an analysis by scientists (Dr. Ajello and Di Mauro) working with the Fermi Large Area Telescope (LAT). They estimate that all but 14% of the background above 50 GeV is produced by blazars—powerful jets of particles emanating from black holes at the centers of galaxies.